The uprights are made of high thickness galvanized steel (dim. 60x30x2 mm). Such a high thickness guarantees a particular strength. 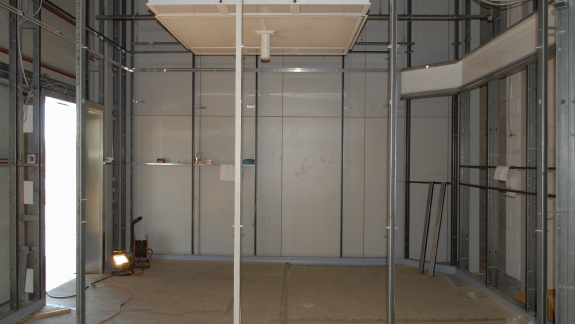 They are able to withstand any static and dynamic stress from pensiles, panels and sliding doors. 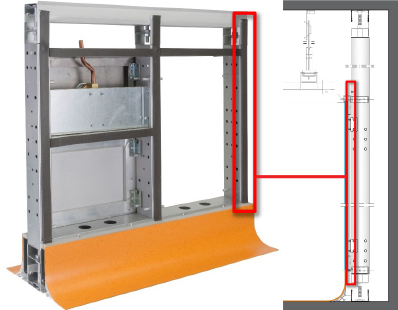 The core of the Salus system is the sub-structure that lie behind the face panels. This kind of structure is specifically designed to satisfy the highest standards of cleanliness for sterilized areas. The framework is able to get inside all the required utilities. The sub-structure is entirely made of galvanized steel and it ensures both components dimensional stability and maximum resistance to fire. All components are class 0 fireproof. 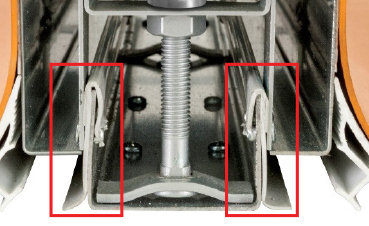 Even on the bars or spacers, interposed between the structure and the covering panels, a 3 mm neoprene closed cell soft gasket is applied to ensures watertight and acoustic insulation. 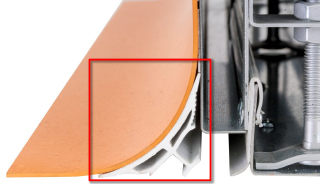 This gasket is used to reduce the noise and vibrations passage between the structure and the floor. 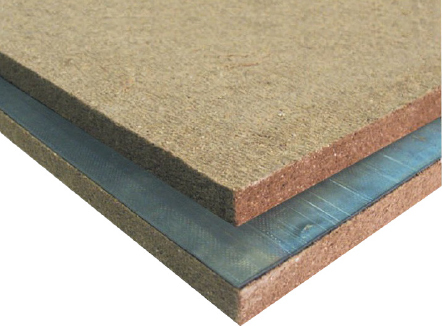 With a sound insulation treatment can reach 50 dB of acoustic insulation. 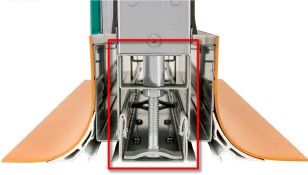 Two adjustable feet on both ends of each upright allow the perfect alignment and smooth levelling of the structure.The structure adjustment is an essential element in order to get the perfect levelling of the structure. 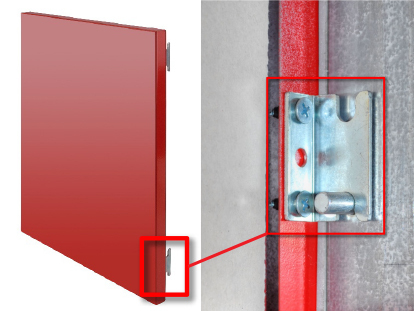 This allows to disassemble and reassemble all the covering panels without the use of screws. 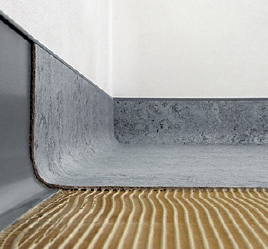 PVC shell profile which snaps onto the floor and creates a monolithic surface. A special ‘Z’ shape profile is placed between the vertical partition and the planar counter-top ceiling. It is useful to guarantee the air tightness and to stabilize the whole ceiling surface. 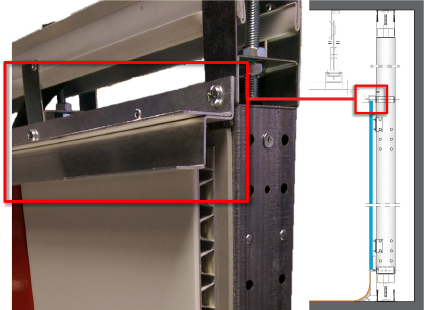 This profile comes very helpful to the maintenance operations, because it allows to disassemble the partition panels without pulling apart the whole counter-ceiling. 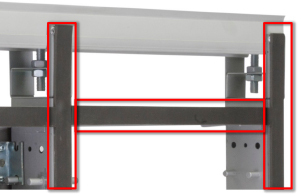 The peculiar coupling system for the support of the panels allows maximum flexibility. It ensures the removal and replacement of each single panel without interfering on the adjacent ones, thanks to the 6 mm shutter. 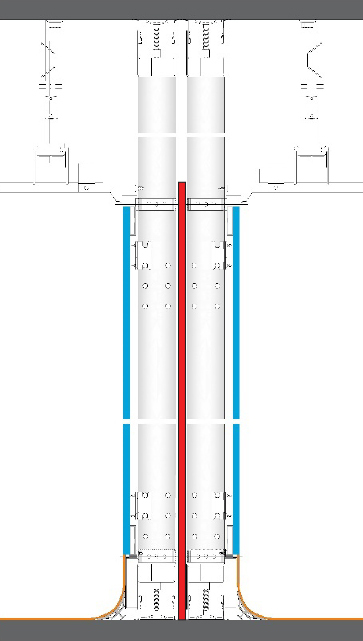 The connection between the coupling brackets and the support compass is made in such a way that the panel, due to its weight, hooks up and compresses against the gaskets that cover the entire structure. 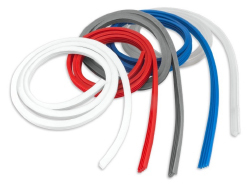 As a consequence, this connection creates a protection against dust and pollutant infiltrations and helps to reduce the transmission of noise. 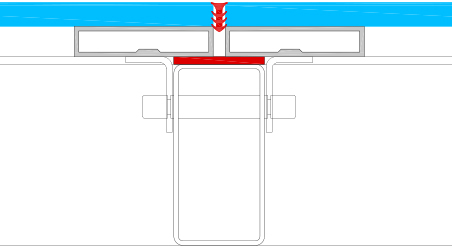 The hermetic sealing between the coating panels is realized through the use of a non-toxic silicone gasket. The seal can be removed to allow easy disassembling of each panel. There are different colors of the compound to reach the best aesthetic solution. 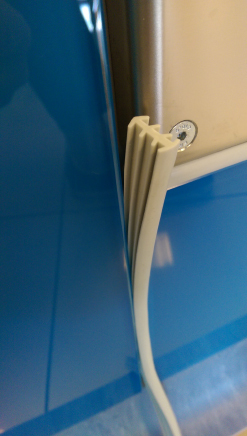 When the customer prefer a different solution, it is possible to seal the panels using a layer of silicone transparent glue or directly weld the surfaces all together, too. The standard protection for x-ray protected environments is obtained by back-covering all the partitions with a layer of lead panels. 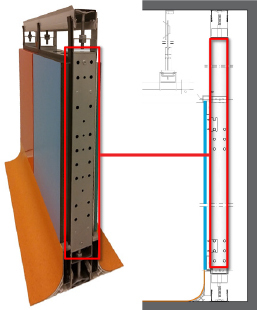 The thickness of the lead panels can be different following the x-ray emitting source requirements.